Do you already have a VoIP phone system? Voice over internet protocol (VoIP) is a phone system that is reinvigorating the way many businesses interact with their customers, offering an inexpensive and highly scalable solution for companies looking to grow. In this guide, you’ll learn the main differences of VoIP vs landline services for businesses, the costs involved, and which one will work best for you. If you’ve heard about VoIP as a platform but are unsure how it can help your business, this page will act as as great primer, and by the end will have answered any questions you may have. Maintenance costs can be very low if you opt for cloud hosting. Smaller companies with a static staff count that don’t have access to reliable internet. Compare VoIP phone systems and get free no-obligation price quotes for your business today. VoIP is a way of making a telephone call over the internet, rather than through a traditional landline setup. The benefits of this are many, including the removal of reliance on physical lines, meaning that its easy and cheaper to increase the number of phones for your expanding workforce? VoIP providers offer the option of selling your company the hardware to host the online system locally using an IP-PBX, or alternatively can host the entire set up in the cloud. Each has its own advantages and cost implications, which will be covered below in the costs section. What is a landline phone? 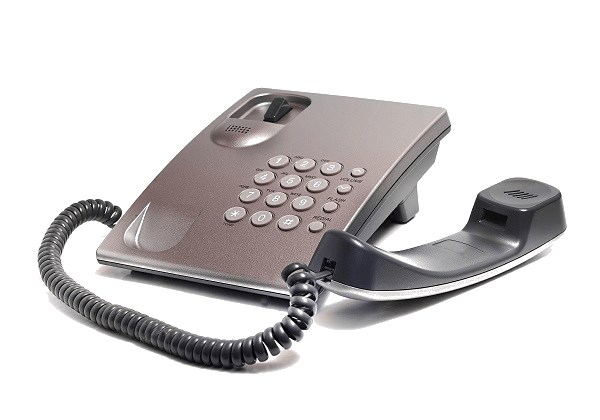 A landline phone is how the traditional phone system is described, provided by copper wires from a local or national telecommunications company to the premises. It’s a tried and tested technology, but also an old one with very little advancement in recent years. Given its dependence on hardware, it is also considerably more expensive than a VoIP setup. This is due to the requirement to install a private branch exchange (PBX) to serve an office environment where multiple phone lines are required, as well as upkeep and maintain the physical components of the system. Winner – VoIP: The low cost of installing and running a VoIP system is what makes it so attractive to businesses. One of the main deciding factors for most businesses when deciding between a VoIP or landline telephone system is cost. Here is where VoIP really takes the lead. It’s considerably cheaper than a traditional landline set up, thanks to smaller set up fees, smaller maintenance costs, lower call charges…almost every facet of your traditional landline bill can be slashed considerably with a VoIP setup. Not only that, but as your business grows, it’s easier and more cost effective to add more lines for new staff than it ever would be for a landline system. Cost of additional features and service options: international call support etc. You’ll need a PBX if you choose a traditional phone system, or to host your VoIP system on-site (with an IP-PBX). The cost of this and the related hardware can vary greatly, from as little as $80 up to several thousand for fully-fledged units with support for SIP trunking and advanced features. 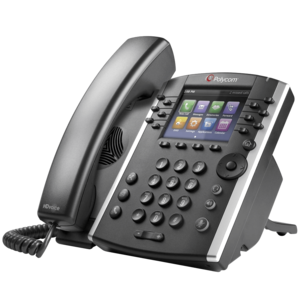 Desk handsets- which you may choose for either a VoIP or traditional system, also vary greatly in price, from as little as $20 for basic models, to around $100 for mid-range business IP phones, to over $500 for more advanced units with video capabilities and other features. Quite often businesses will invest in one or two more advanced models for senior managers and the person who will be administering the phone system for things like conference calls, and buy cheaper standard models for the majority of desks. Service providers will also often bundle preferred models of handsets with their solutions, in which case you may be able to save by purchasing or renting such equipment as part of an overall package. It’s still a good idea to be aware of the regular price of the equipment you’re looking at though, so you know if you’re getting a good deal on a bundled solution. All costs you may or may not incur when choosing a VoIP or traditional landline phone system will depend on your existing network infrastructure and phone equipment. Think scalability: It’s important to invest in a phone system that can grow with your business. Ensure that the system you choose can be easily upgraded to handle greater volumes of incoming and outgoing calls, without having to go through the process again of getting a whole new system. Budget for unexpected maintenance: It can be difficult to account for all the possible costs and overheads associated with a new phone system installation, but you should keep a contingency fund available if possible for those unexpected fixes and bumps in the first few months of getting the system up and running. Focus on the options you need: It’s quite easy to be dazzled by the range and novelty value of some of the features available when first appraising your phone system options. Know which are the features that are essential or could add massive value to your business, and which are appealing but not absolutely essential. If a key feature on your wants list is not included as standard, see if the provider can add it, and there are features included that you know are of limited value to you, see if they can removed to reduce the overall cost. Modern VoIP phone solutions have never been so flexible and customisable, so take advantage of this. Support and Training: Check with your prospective service providers whether training for your employees and phone system users is included, whether this is also applicable for new employees who join the business after the phone system is set up, and in what form the training comes – is it a video series or in-person live workshops, for example. Traditional landlines have proven to be dependable over the years, and can continue to operate in situations such as power outages. While they are not infallible, they are notoriously stable most of the time. VoIP’s key weakness is also its main strength – the internet. Every facet of VoIP is entirely dependent on being able to get online. If your internet goes down, so does VoIP. Ditto your power connection. 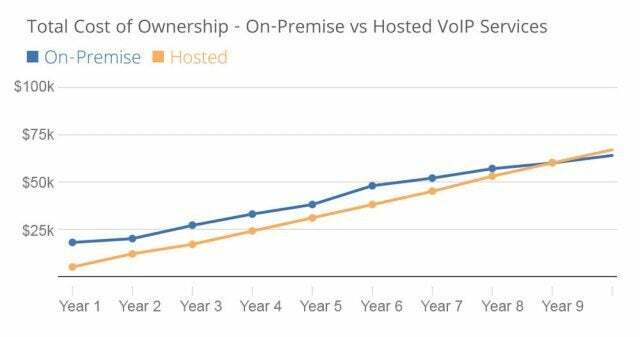 This shouldn’t be a cause for concern, but if you are looking at a VoIP network, it’s essential that you have an excellent and dependable internet provider, as this will form the backbone of the service. Tip: If you’re interested in VoIP but worried your office internet connection might let you down, look for a provider who offers automatic rerouting to mobile devices as a backup in case of poor connection or power cuts. All leading providers, such as 8×8 and Vonage, now offer this service. Winner – VoIP: VoIP offers a suite of options and flexibility that a landline just can’t match. If you’re looking for a feature-rich service that can offer more than just standard phone calls, then VoIP is the clear winner. As it’s a digital service, it’s a lot more versatile and able to interface with a myriad of existing services, giving you more control over your communications at the touch of a button. Employees don’t need to be tied to their desks anymore, with a VoIP line accessible from any cell or VoIP phone, or even a computer. Useful for those with remote workers, but also a boon for employers who want their staff to work more flexibly. Then there’s other handy features, like automatic redirection, auto attendants, even speech to email. Not to mention video calling and straightforward conferencing capabilities without the need for dedicated equipment. Put simply, a VoIP service is a 21st century solution to the humble landline that has served us for so long. Add to this the fact that VoIP is often a cheaper alternative to a traditional landline, and it’s hard not to be swayed. Winner – Landline: The traditional landline offers unsurpassed audio quality – but VoIP is catching up. Traditional landlines hold the ace when it comes to sound quality. While they may not offer the large suite of features available with VoIP, the technology has been honed over decades to ensure that voice calls are as clear as possible, rarely suffering from interference, dropped calls or poor quality. Unlike landlines, the internet isn’t a system that was designed solely with vocal communication in mind. Instead, it was intended to carry data, and as such, the road to getting voice calls to be a viable means of connecting hasn’t always been smooth, as anyone who used VoIP in the early days will be able to attest to. The good news is that in recent years the technology has come on in leaps and bounds. The aim has always been that the caller shouldn’t even be aware that the call is taking place over VoIP, and in a vast majority of cases this is true. While there may be the occasional blip here and there, VoIP sound quality has been highly polished, and if you opt for a reliable VoIP provider, it should be indistinguishable from an actual landline. Just remember, the quality and speed of your internet connection will have a large impact on VoIP call quality, and it is therefore essential that you have faith in your provider’s ability to deliver a robust and speedy connection. VoIP is an excellent and inexpensive way to grow your business and ensure that you are responding to your customers needs effectively. The benefits over a traditional landline are many, as the thousands of companies that have already made the switch to VoIP will attest. Get a quote for your business today to find a deal that suits you. Get a quote for VoIP phone systems and compare prices for your business today.